The Animal design screen can be entered via the F9 Key and is illustrated on the left. The window at the top of the screen allows the animal to be orientated, the type to be selected and an animation sequence to be activated. 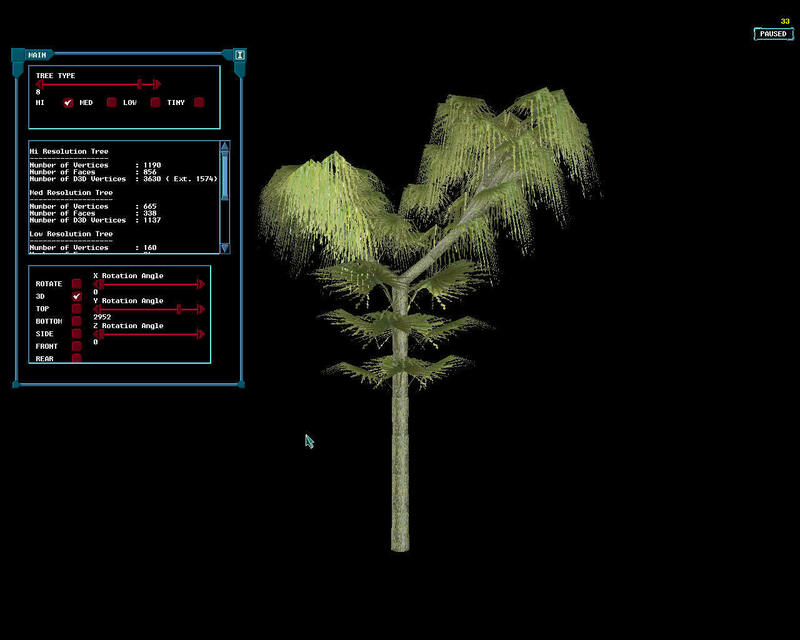 The bottom window is used to build an animation file and in the demo version of the game has been deactivated for the most part. However the 'run sequence' button and the 'animation sequence' slider can still be used. The texture maps used by the animal models can be found in the 'textures/animals' directory. Each bitmap is used to describe two animals as shown in the diagram on the left.